This year we have a few events leading up to and including Easter time when we celebrate that Jesus rose from the dead! “Abba, Father,” he said, “everything is possible for you. 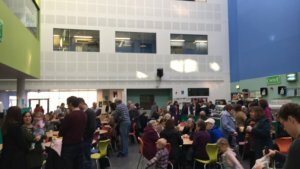 This is our breakfast church which starts at 9:30am in Maltings Academy canteen. 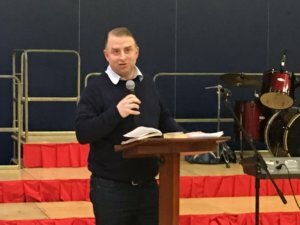 We have the usual opportunity to share breakfast together with Croissants, pastries, teas/ coffees and juices being served but as this is Palm Sunday, Mel Cameron, is sharing a specific word on this time of rejoicing because of what Jesus did when he entered Jerusalem them few days before His death and resurrection. 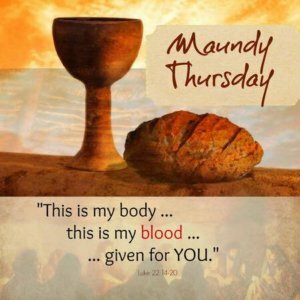 This is traditionally called Maundy Thursday and we shall celebrate this with Communion and a prayer meeting together. We are meeting at the Bethel Hall as we reflect upon the sacrifice that Jesus makes for all. We shall be going for a walk and all invited. The plan is to meet at the Bethel Hall in church street and walk the length of the river walk into town then have some refreshments at The Well with hot cross buns and then walk back. 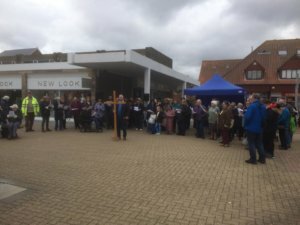 We start from the bottom of The Grove shopping precinct at 11a.m and walk from one precinct to the other holding a huge cross declaring our faith in Jesus Christ. An outdoor service then follows with our brothers and sisters in Christ in Newlands street precinct. Come along and join us! Bring your family and friends on our route through the two shopping precincts. Join us afterwards for hot cross buns and a hot drink at the Holy Family & All Saints church hall in Guithavon Street. Easter Sunday we shall be celebrating that Jesus is risen at Bethel with a lively service to celebrate what Jesus has truly done for us. Chris Taylor will be preaching on this glorious topic.